Flying High With The Loews in New Orleans! 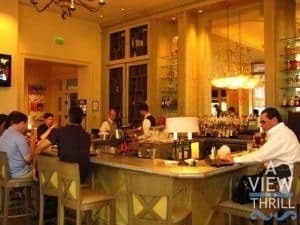 Full Disclosure: During my stay in New Orleans, I was a guest of the Loews Hotel which was arranged by the very sensational New Orleans Convention and Visitors Bureau. However, my review is and will always be my honest impression of my time there. Here’s a transformation for you. Take one Lykes Brothers Steamship building, a cargo shipping company that was located in the central business district of New Orleans, convert it into a four-star luxury hotel and rename it the Loews New Orleans Hotel. 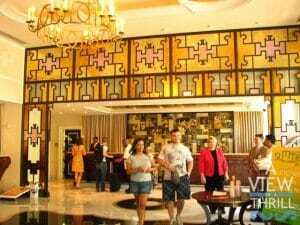 The management realized the value of opening one of their flagship hotels in such a premium segment of the city and wasted no time in purchasing it. In 2003, their efforts resulted in 285 hotel rooms and suites, an upscale restaurant, a chic bar and 13k SF of meeting space, including the elegant Louisiana Ballroom. Meeting planners will be interested to know that the hotel offers a unique rewards program. 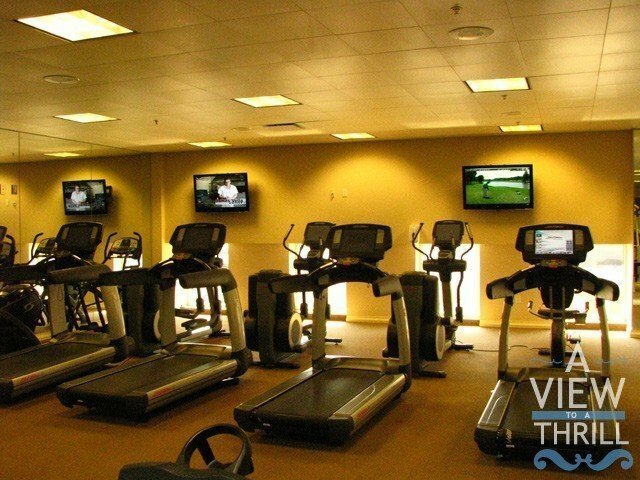 Check out Loews MVP for more information. Located a mere three blocks from the French Quarter, we were pleasantly surprised to see how lovely the surrounding area was. It was another three blocks in the opposite direction that you would happen upon the famed River-Walk where we got to see and hear the cruise ships and Steamboats herald their arrival. I liked the fact that we were so close to the French Quarter but could avoid the reverie of the celebrants who frequented the area. We arrived four hours before check-in where at most we hoped that they could store our luggage until check in time. To our surprise, we were quickly notified that our room was ready and it took all of three minutes to collect our room’s key card. The first thing you notice as you enter a Loews’ guest room is how large the space is, not only in square footage, but the 10-foot ceilings made you feel as if you should be hearing your own echo. The suite was nice and cool which was a blessing given that the outdoor temps were hovering close to the triple digits. To your right are two queen-sized beds dressed with a feather-bed and five comfy pillows to dream on. Each bed was flanked by an exquisite piece of artwork above it. 1) all of the lighting uses CFL bulbs. 2) the bed linens which are refreshed and remade every day are changed every three days, which helps to promote green-friendly sustainability by reducing the amount of water and detergent used. 3) only towels that are not rehung are refreshed. 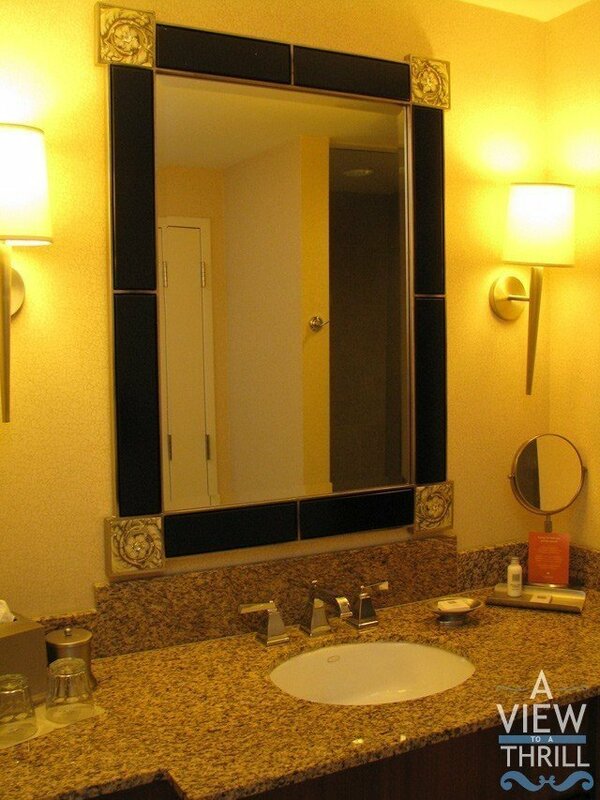 The bathroom was fresh and clean with granite counter tops that offered stainless steel amenities like a soap dish, tissue and cotton swab holders, hand-held mirror and the usual travel-sized personal care items that I’m so very fond of. The stand alone shower was encased in stone tiles and was almost double the size of ones’ typically found in hotel rooms. 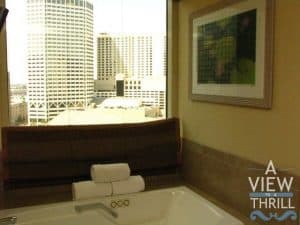 On the opposite end of the room was a spa sized tub where you can feel free to soak away the day’s troubles with ease. You can expect to find a Keurig coffee machine with various types of coffee, cocoa, and teas with condiments available for your enjoyment gratis. In the spacious closet, you will find a room safe, two spa robes, a generous number of clothes hangers, an ironing board and iron. 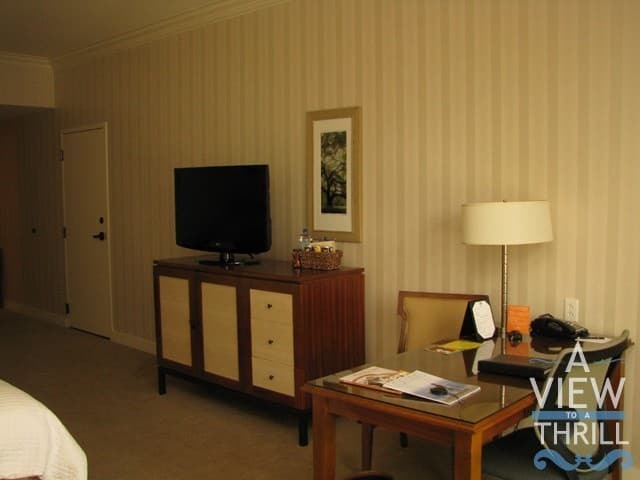 Each room boasts a minimum 40 inch LG television set, a radio with a built-in CD player. 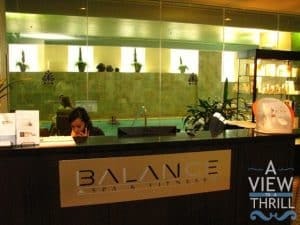 anywhere you want to go, so a car isn’t really necessary if you plan to stay in the city center), long distance calling, spa services like manicures, facials and massages at the Balance Spa were reasonably priced. However, their fitness center with treadmills, cycles, stair steps with three huge television monitors as well as their whirlpool, dry sauna and indoor lap pool are free to all hotel guests. 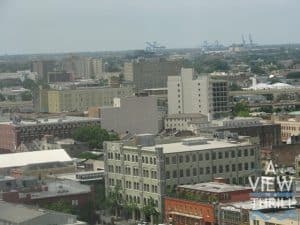 One of the most special aspects of staying in a Loews Hotel room in New Orleans is their phenomenal skyline views. 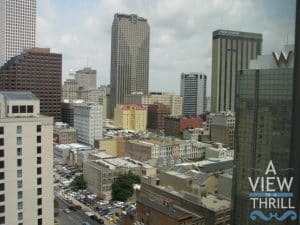 New Orleans’ skyline is relatively low in comparison to other cities, therefore, you get to see so much more of the city because your line of vision will not be obscured. 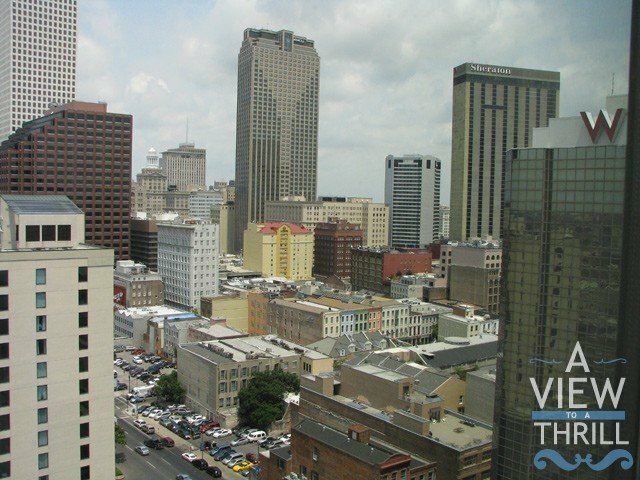 From every guestroom, you will enjoy views of either the Mississippi River, the historic French Quarter or the city’s skyline. 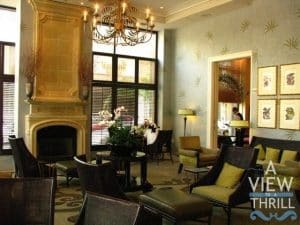 My stay at the Loews Hotel was one of the few excursions into pampered elegance that I’ve gotten to experience since I am primarily a budget traveler. Surprisingly, the rack rates begin at $189.00 per night and given the reputation of Loews as being upscale (read: expensive) I might have dismissed it as being too rich for my blood and certainly for my pocketbook. I enjoy traveling on a budget and spending as little as I can on my stay. 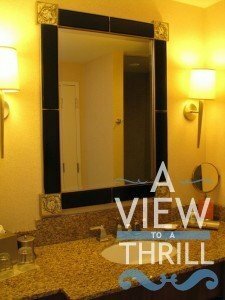 However, I think every now and again, each of us deserves an opportunity to see how the other half lives and luckily, Loews makes it easier to do so. 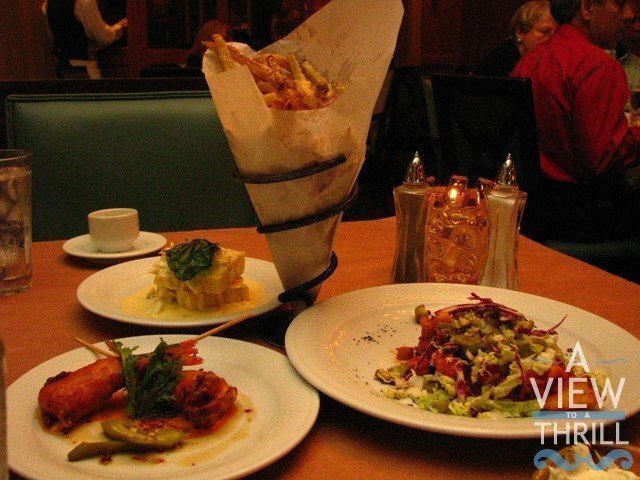 The hotel’s on-site restaurant is the Cafe Adelaide and the Swizzle Stick Bar which is part of the Commander’s Palace family of restaurants. Led by Executive Chef Chris Lusk, this ground floor restaurant’s tasty Creole cuisine has a distinctly New Orleans flair, but marches to its own drum as well. We enjoyed the Blue Crab Pound Cake with Port-Salut “icing” & truffled crab claws ($10.00) , Shrimp & Tasso “Corndogs” 5 pepper jelly, pickled okra, chicory greens and Crystal Hot Sauce ($9.00) and Crawfish Sloppy Boudreaux sweet onion pain perdue and pickled okra coleslaw ($10.00). Don’t forget to check out the bar’s tasty cocktail confections like the French Martini and the Halle Berry! Periodically, the hotel will offer special packages which add even more value to their guests. I’m particularly fond of “The Crescent City Shopping Connection” where package prices start at $129.00 per night. 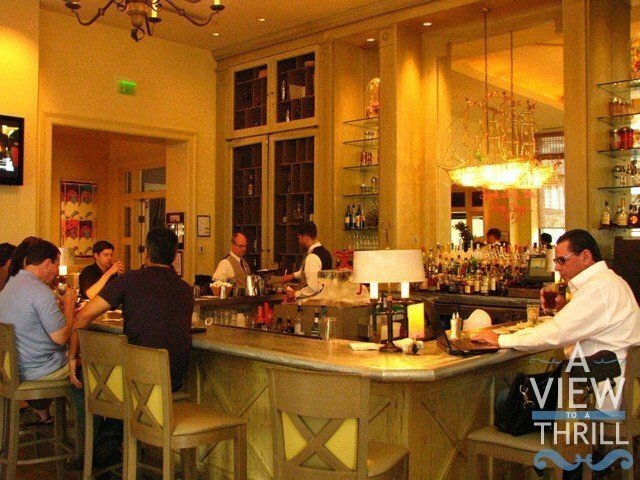 This package consists of overnight deluxe accommodations, shopping savings at Saks and select boutiques on Magazine Street (a short streetcar ride from Poydras and Canal Street stop), welcome cocktails at the Swizzle Stick bar and complimentary valet parking. Can we say Girl’s Getaway?! So, what is my overall opinion of my stay there? There was only one unpleasant incident. The guests next door were arguing loudly….I mean….really loud. After waiting for the noise to die down for about 30 minutes, I had to call the front desk to inform them because you never know how things like that can end. I’m not really sure if security came up as promised because they continued to fight up until the wee hours of the night. My quick remedy was to turn the TV on. Do I see Loews in a different light as a result? No, not really. Unless background checks are done (and even then, there’s no guarantee) Loews can’t control who reserves a room at their hotel. This could have happened anywhere, so it doesn’t tarnish my overall opinion of the hotel. 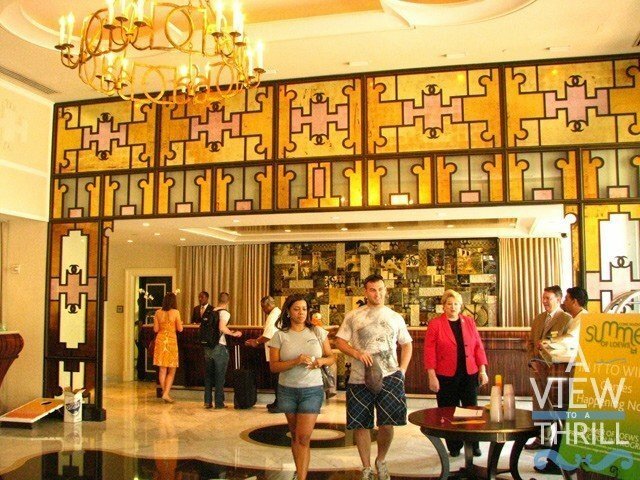 My daughter and I were treated with the utmost respect from the management, concierges, front desk clerks, doormen, bellmen, wait staff, bartender….everyone was polite, courteous and really made me proud to be a southern girl because they lived up to a long-held and celebrated tradition of southern hospitality. 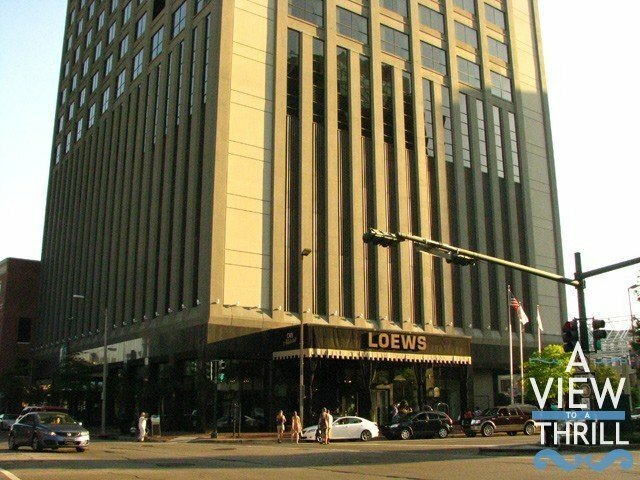 If you are looking for an elegant getaway, consider a trip down to ‘Nawlins and indulge yourself in a little luxury at the Loews! Oh, I can’t forget the piece de resistance! I was lucky enough to tour the Presidential Suite (see the pics below)…..while that suite was too rich for my blood, it was a very nice experience just the same and we can all dream, can’t we? Value is the new luxury: Fortunately, we deliver both. For reservations, call 866-211-6411 or 800-23-LOEWS. Great photos! 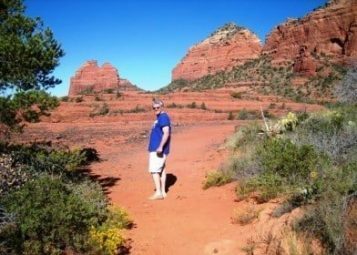 I’ve never been there but enjoyed reading about your trip and seeing some of the photos. Looks like they are recovering nicely from Katrina! They really are Jeremy. There are still some issues, but a visitor would hardly notice. New Orleans is definitely open for business!! These are really wonderful pictures. I really did enjoy reading about your trip. From what I see they have recovered from Katrina pretty well. 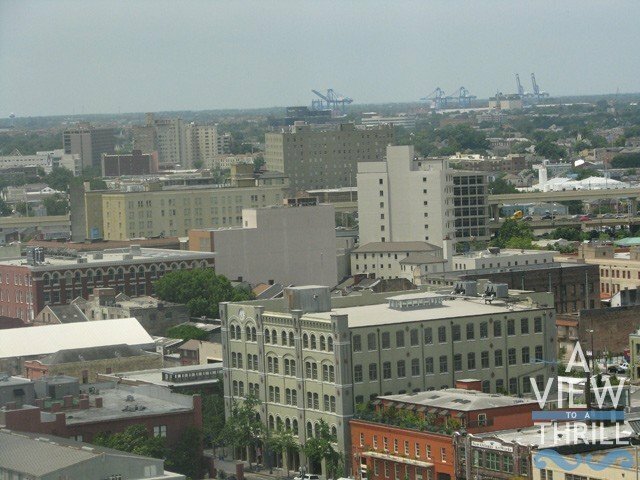 My daughter may be traveling to New Orleans this summer and I just shared your blog with her. Thanks for posting this. Oh, great! Thanks, Senafp….I know that she will have a great time there. Sounds like this hotel is in the perfect location, and the food looks delicious. 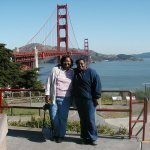 I was actually glad it was a few blocks away…..it gave us a chance to walk some of that New Orleans cuisine off! Nice review, Renee. It really does looks like a great hotel option when in New Orleans. That presidential suite looks particularly good to me! Love the skyline views, too. 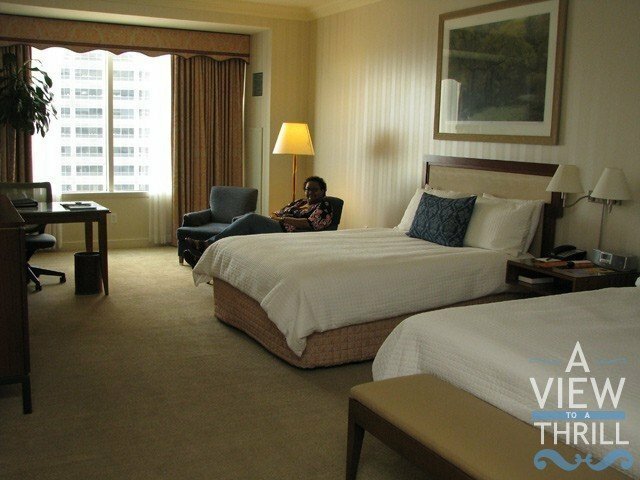 The presidential suite was to die for! That’s pampering to the nth degree….I loved the fact that it was away from the craziness (not that anything is wrong with that) but it was nice to know you could go have fun, then come back to get some peace and quiet. I hope more hotels will start being more environmentally conscious. It really matters! Looks like a very nice hotel this. I have fond memories of New Orleans. I was there when I was 11, my first trip abroad. Would be fun to see the city as an adult. You should definitely make plans to come back and see it through an adult’s eyes. I’m sure that there have been plenty of changes and most for the better! Seriously, this does look like an amazing venue with amazing food. I have never been to the area so now all I have to do is convince the misses to come. Thanks for the ammunition, lol. LOL! Jermaine, be sure to add this to your list….I had so much fun….still wondering why it took me so long to get there! Wow great review. This will help me a lot as i am planning to visit the USA a couple of years from now. Excellent! Definitely put New Orleans on your list! It’s a beaut! My friend and I are actually thinking of going to New Orleans. We both have not been and it’s on our bucket list. We’re are on a mid-range budget so if you have any tips on where to stay or at least which part of town to look for accommodations it would be great! Grace, the rooms start at $189.00 or so which is a good mid-price range, I think. The rooms are very elegant for the money and the location is great because it’s quiet yet close to the french quarter. These are really wonderful pictures! Looks like a very nice hotel this! I’ve never been there but enjoyed reading about your trip!